Introduction: The Sundance Film Festival is deeply rooted in a quarter-century of history beginning with the Utah Film Festival. The Festival was introduced in 1978 by the Utah Film Commission in an effort to “promote tourism” in Salt Lake City. (Malserger, 38) The early years of the Utah Film Festival were fairly successful but equally rocky. Debt not only plagued the Festival, but also caused its continuation. In 1981, the Festival was relocated to the small ski town of Park City, Utah, and was moved from September to January with the intention of attracting a new, more elite crowd. (Smith, 50) The Festival became known as the Utah/United States Film Festival in the following years but continued to diminish. As the 1984 Festival approached, many believed it would see its last season. Meanwhile, in nearby Provo Canyon, Robert Redford had created a phenomenon in the world of filmmaking known as the Sundance Institute. It was a center to advance the world of independent filmmaking and his success would not go unnoticed by the struggling Utah Film Commission. In November 1979, Redford began this process with a three-day planning conference for what would be deemed the Sundance Institute. The conference concluded that it “would emerge as a center, a resource, bringing together talented aspiring filmmakers with collaborating skilled professionals in an extraordinarily supportive environment, which would allow greater experimentation with scripts, direction, and performance.” (Smith, 37) In the following years, Redford worked with the National Endowment for the Arts to secure a budget for what would be known as the Sundance Institute’s June Laboratory. The first Sundance Lab was held in 1981, in which a select group of 65 students were chosen to spend four weeks with the industry’s most prominent directors, actors, writers, and producers in order to take their abilities to the next level. Redford saw this as expert tutoring, in which workshops enabled filmmakers to take risks without penalties and potentially secure themselves as spot in what had now become the Utah/United States Film Festival. The immediate success of the Sundance Institute was not anticipated and it concerned Redford. In a February 1985 interview with the Los Angeles Times, Redford stated, “It’s dangerous, I wanted filmmakers to have a place to struggle and make mistakes. 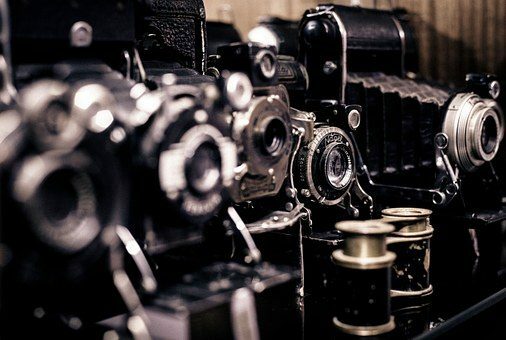 I think a focus on our success won’t be fair to the filmmakers or the process.” The Institute soon gained recognition in Hollywood and the Utah/United States Film Festival quickly noticed that the Lab’s students were continually submitting winning films. By 1984, many believed the Utah/United States Film Festival had run its course, but Redford’s passion and determination for the future of filmmaking had led those involved to believe that the Sundance Institute could save the Festival. 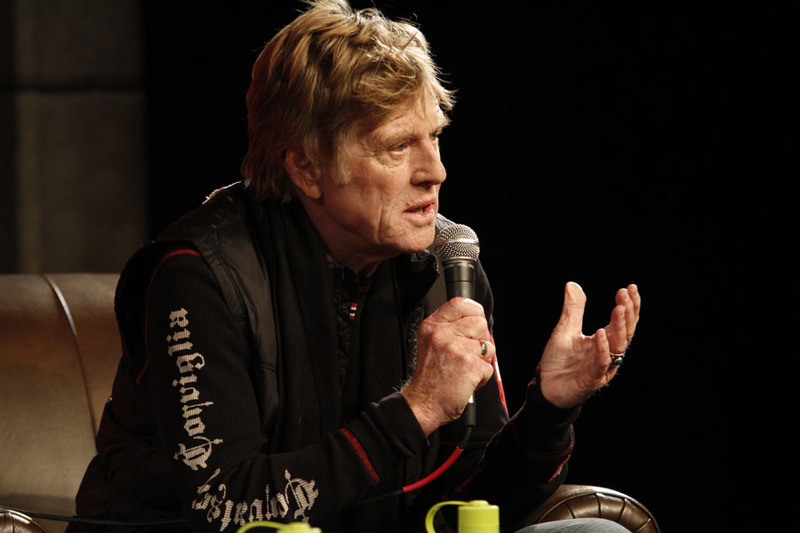 Robert Redford speaking at the Sundance Film Festival. Photo by Calvin Knight courtesy of the Sundance Institute. “I was never big on festivals,’” Redford explained to the Los Angeles Times in February 1985. “And when I was originally approached the first year to do this one, I said I’d be interested only if it emphasized independent film.” Redford hoped to use this as an opportunity to change the negative perception of independent filmmakers in Hollywood, according to an article published in the South Florida Sun-Sentinel in January 1987. In Benjamin Craig’s novel, Sundance: A Festival Virgin’s Guide, he explains that “the Sundance Institute and the Utah Film Festival had a natural connection from the start,” which was easily visible after the Festival completed its first successful year. The first year of the Sundance Film Festival marked the seventh year of the Festival as a whole and “there was no question that everything had changed.” (Biskind, 13) More than 80 films were shown, including the introduction of the international category; the previous year’s attendance was doubled, and the ongoing debt had reached its lowest amount since the Festival’s creation. L. Wylie Shepard is from Park City, Utah. She is a senior at The University of Utah and is majoring in mass communication. Kristina Malberger, “Sundance Film Festival,” VIA: AAA’s Travel Companion (January-February 2007). “Sundance Institute Rises and Shines,” USA TODAY, May 15, 1998. “Sundance Institute’s June Lab Gives Filmmakers a Head Start,” The Salt Lake Tribune, June 14, 1992. Terry Orme, “After a Decade: The Sundance Kid on the Sundance Institute,” The Salt Lake Tribune, December 9, 1990. Deborah Caulfield, “Movies,” Los Angeles Times, January 19, 1988. “Redford Enjoying Building Institute to Aid Artists,” The Ottawa Citizen, July 8, 1986. Deborah Caulfield, “Will Success Spoil Sundance?” Los Angeles Times, February 4, 1985. Deborah Caulfield, “Robert Redford Lends Status to Film Festival,” Los Angeles Times, January 21, 1985. “The Sundance Institute’s First Festival,” Original information packet, Park City, Utah (January 18-27, 1985). Peter Biskind, Down and Dirty Pictures (New York, New York: Simon & Schuster, 2004). Michael Feeney Callan, Robert Redford: The Biography (New York, New York: Alfred A. Knopf, 2011). Lory Smith, Party in a Box: The Story of the Sundance Film Festival (Layton, Utah: Gibbs Smith, 1999).